Well, it seems that civilization has come to an end again. Todd, at least this time it wasn't you. No, it was the agents of H.A.V.O.C. that exploded a bunch of nuclear weapons, devastating the land. That was decades ago, and the survivors are just starting to once more come to the surface. 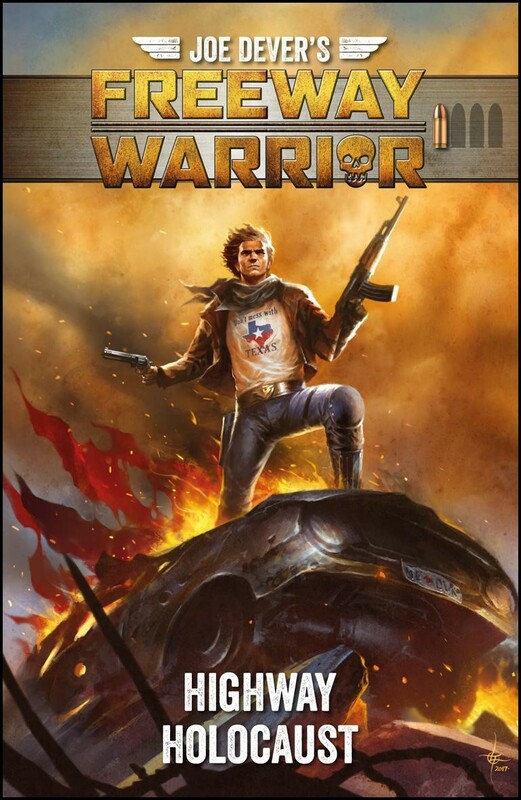 That's where you find yourself in Freeway Warrior 1 - Highway Havoc, a new choose-your-own-adventure gamebook available now from Modiphius. Will you be able to lead the people of Dallas Colony One to the California coast, or be wiped out by bandits and raiders along the way? This exclusive hardcover (with dust jacket and book ribbons) is the first choose-your-own-adventure-gamebook in Joe Dever’s post apocalyptic series.America 2033 AD.